We reserve the right to reverse an order you place with us for the following reasons. For example, we may reverse your order if we are unable to supply good/s in the promised time frame or to our high quality standards. Our website is intended to provide general information about our goods, including making purchases via our website. While we do our best to supply accurate information on this site, errors and omissions may occur. We do not accept any liability to you or any third parties for any loss or damage which may directly or indirectly result from your use of the website or your access to, or inability to access, the website. This includes viruses alleged to have been obtained from the website and your reliance on any advice, opinion, information, representation or omission (whether negligent or otherwise) contained on the website. By using the website, you agree that you are using the website at your own risk and that you are solely responsible for the actions you take in reliance on the content displayed on, or accessed through, the website. All images, trademarks, logos, text, graphics and other content appearing on this website are the property of their respective owners and are protected by copyright, trade mark and other intellectual property laws. The use of any of The Fabric Care Company’s trademarks is strictly prohibited unless we provide prior written consent. The inclusion of any hyperlinks to third party websites does not imply The Fabric Care Company’s endorsement or approval of such third parties, their websites or their businesses or other activities. Unless otherwise indicated, copyright in the information on this website is owned by or licensed to The Fabric Care Company. This website or any portion of this website may not be reproduced, duplicated, copied, sold, or otherwise exploited for any commercial purpose except where necessary for viewing this website on your Internet browser, or where specifically authorised by law or in writing by The Fabric Care Company. By choosing to subscribe to www.fabriccare.com.au you agree to receive marketing communications from www.fabriccare.com.au. This contract is governed by the laws of Australia and such other laws which are applicable in the country where you are resident. All purchases via the website are transacted in Australian dollars. The Fabric Care Company reserves the right to amend any pricing errors displayed due to human error, computer malfunction or other reason. 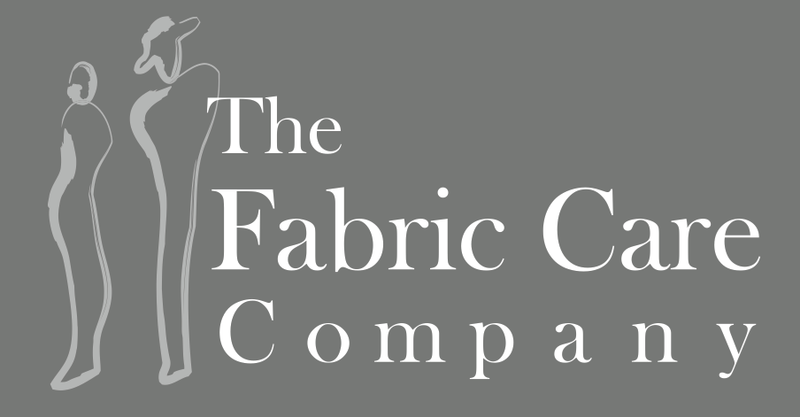 The Fabric Care Company will notify you of any error in pricing and you may elect to not purchase any Good/s where the price has been corrected. We accept payments by credit card from Visa and MasterCard through Paypal. You will receive an email notification containing your invoice within 24 hours from the time you place an order.